This article is 1238 days old. 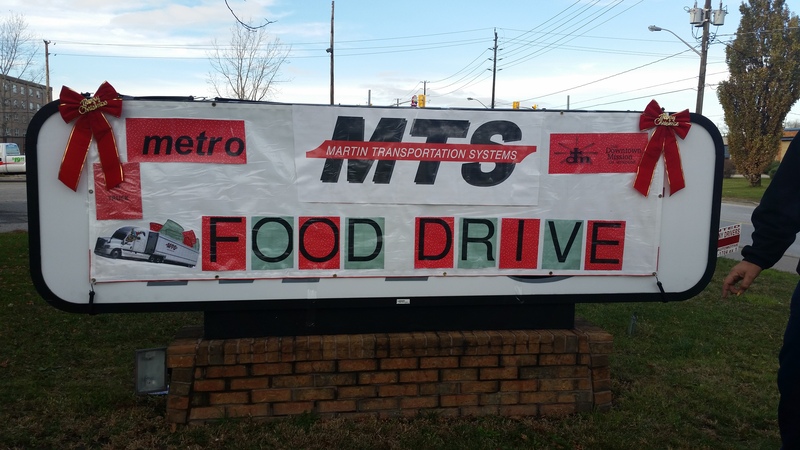 Martin Transportation Systems has partnered with Metro and the Downtown Mission with the goal of filling a trailer full of food. Donations will be accepted at MTS located at 2425 Central Avenue, Monday to Friday from 7am to 7pm. Donations will also be accepted at the Metro grocery store located at 3663 Tecumseh Road East in the Central Mall on Saturday December 5th, 12th and 19th from 10am to 5pm.